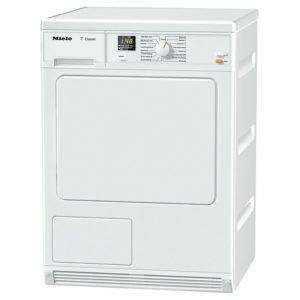 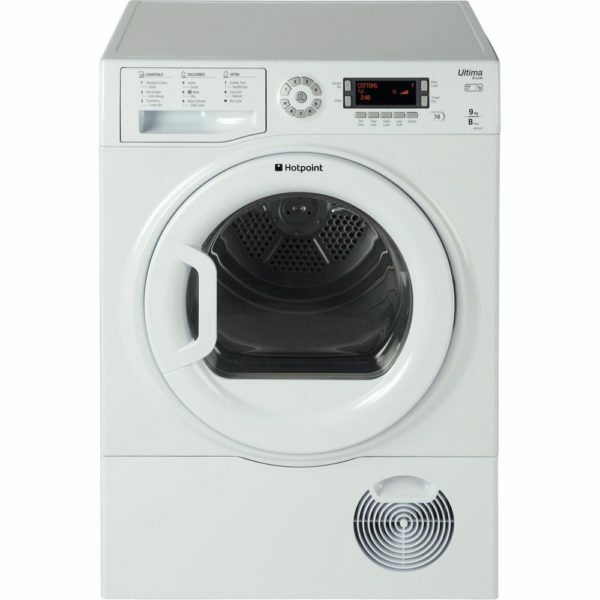 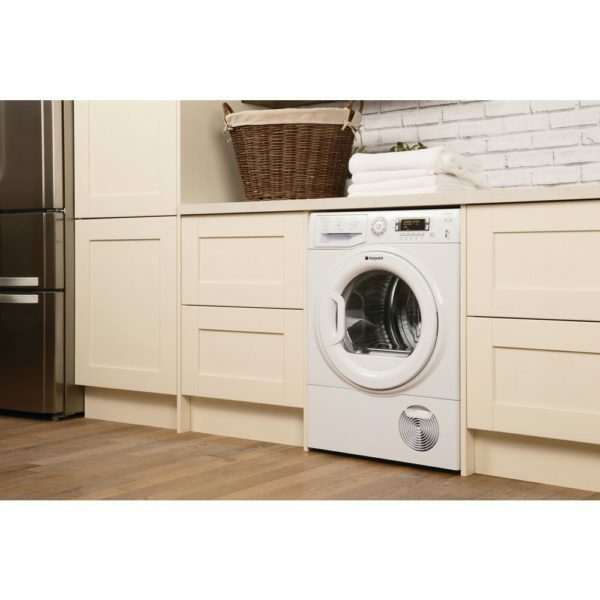 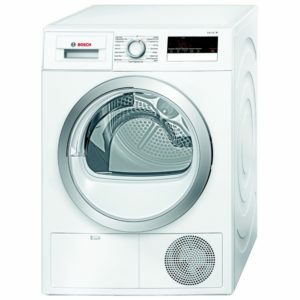 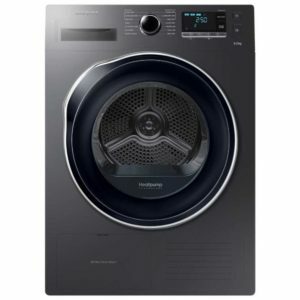 The SUTCD97B6P tumble dryer is part of the Hotpoint Ultima range. It comes in a classic crisp white finish to complement any setting and features a large digital display screen to clearly show setting and cycle details. 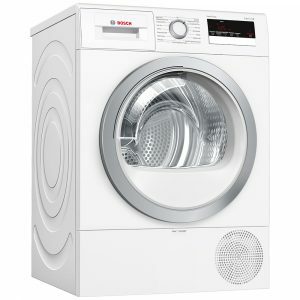 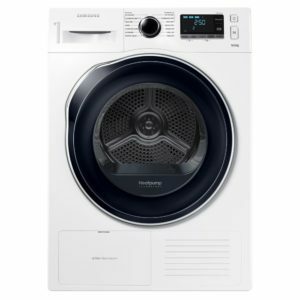 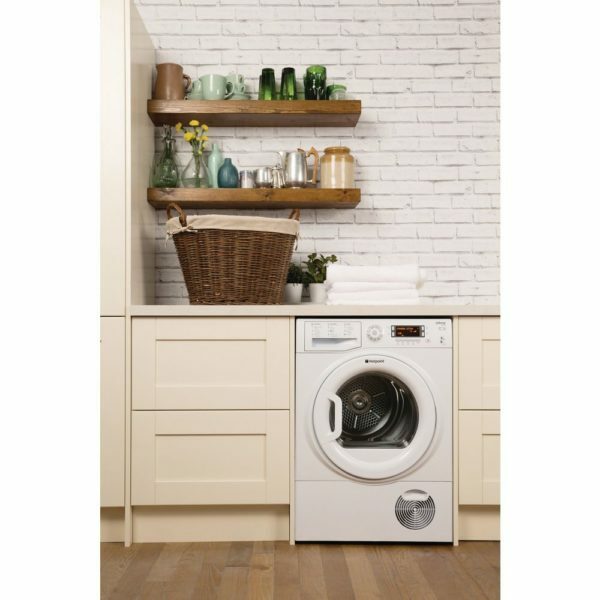 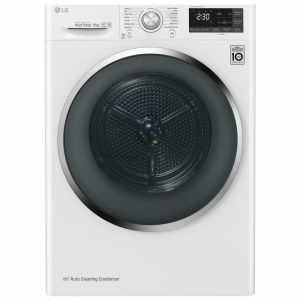 With an amazing 9kg drum capacity this dryer is suitable for even the largest households and it comes with a huge variety of drying options, including special programmes for silk, wool, jeans and even cuddly toys. 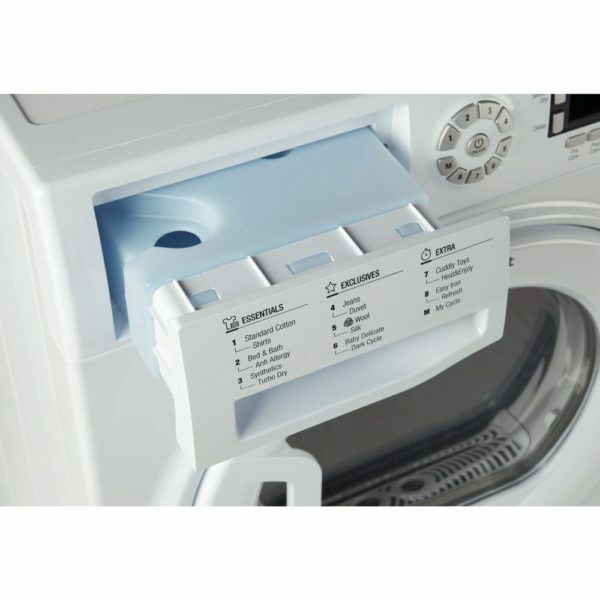 It features sensor drying, which enables you to ‘set and forget’ your drying with the knowledge that it will dry perfectly to the level you have specified. 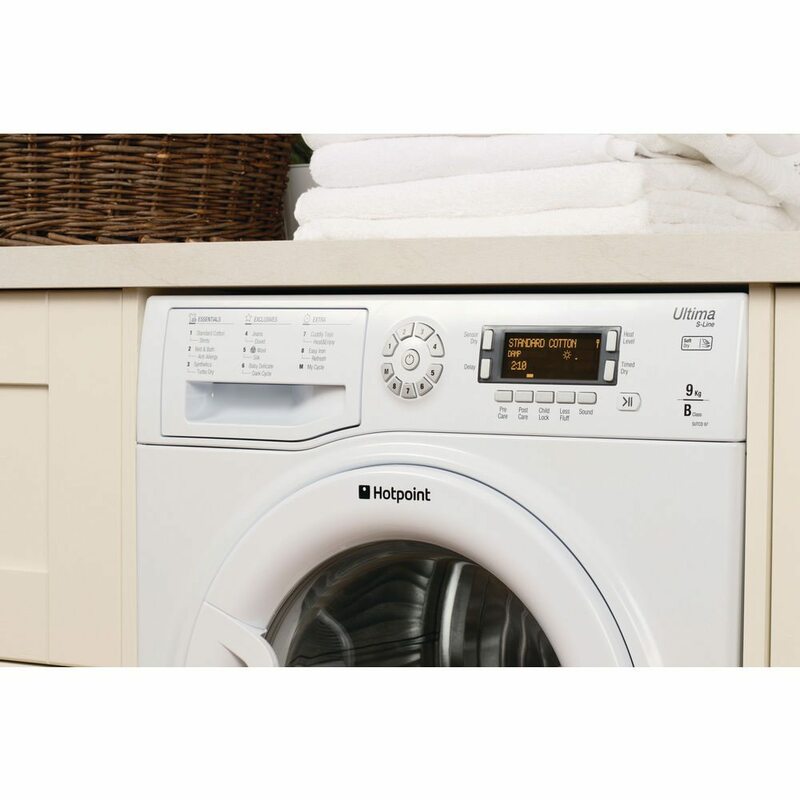 You can even save your favourite cycles with the My Cycle memory function and pick the time of your drying with a handy delay timer.